There are several methods for professional Coffee tasting, whether it’s Espresso, Filter or “Brazilian”. We will not deepen these aspects here, even if we remain at your disposal for any further information at our courses. However, we will talk about the tasting of Coffee usually prepared by anyone who does not work in the sector, but is simply a Coffee Lover or wants to start discerning whether a Coffee is good or cheap, and/or whether a preparation (Espresso, Filter, Moka or others) can be considered perfect or not. “Tasting” today basically means the act of swallowing an edible product, food or drink, savoring it. However, if we deepen the meaning of the term, we notice that the Treccani Encyclopedic Dictionary of the Italian language defines “tasting” as follows: “In a technical sense, the examination of the organoleptic features of Wine, Oil, Coffee, etc., made to judge its commercial value. It consists of a series of surveys that require, from those who check, method, long exercise and particular attitudes. The operation is usually carried out first on viewable characteristics, then on those that concern smell, and finally on those that concern taste”. Very clear, we would say: tasting can be considered a sensory analysis, that is an evaluation of parameters and characteristics through the use of our senses, consisting of a visual analysis, an olfactory analysis and a taste analysis. Visual analysis: This is the first stage, crucial for Espresso Coffee, much less for other categories of drinks. The visual analysis of the Espresso reports the type of Coffee used and the extraction method, although it does not provide reliable information on the quality of the raw material. 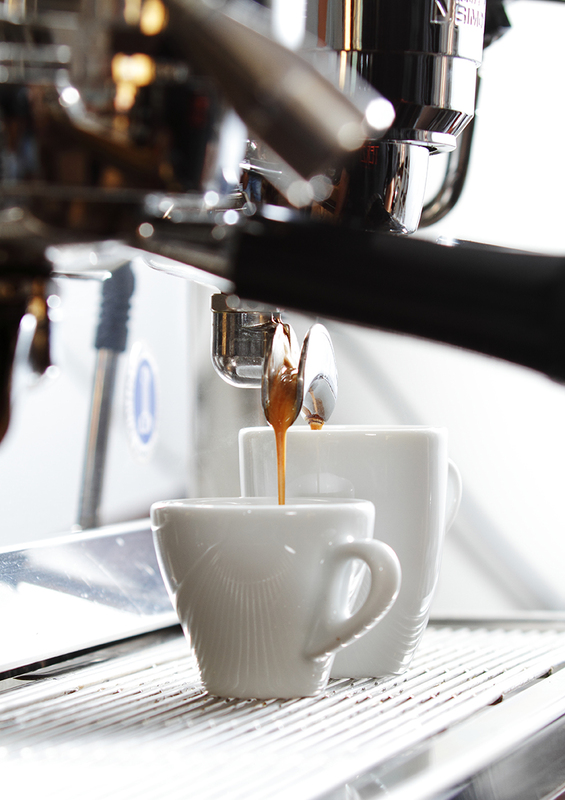 A thin, shiny, persistent, brilliant cream, elastic during the rotation of the beverage in cup, hazelnut tending to red, is a clear indication that it is a fine variety of Arabica and a good extraction but there is no information about the eventual flaws in wheats such as Juta, Stinker, Fermented, etc. If the cream has dark edges or a bright spot and dissipates quickly, if it’s too dark (tending to the dark brown) or too pale (beige/light yellow) and perhaps has large bubbles, then it means the extraction was not flawless. If the cream is rough on the surface, high but only slightly persistent and at the same time not very shiny and brown/greyish, it means that the raw material used is Robusta, a variety considered less valuable than the Arabica. In each of these cases, there is no reliable data on eventual flaws in the wheat which makes up the raw material used. However, the following instructions can be considered valid for all Coffee preparations, but also for other types of drinks. Olfactory analysis: it consists in testing the olfactory features by quantity and quality. By isolating myself from the environment (simply putting my nose literally inside the cup, which will have a portion free of Coffee allowing the sniffing) and inhaling deeply with both nostrils, first I will have to evaluate the intensity of the perceptible smell (which is the amount that still does not have the plus or the minus sign – drink or food can have a high intensity resulting entirely from unpleasant smells such as some kinds of cheese); then I will have to judge the pleasantness, the elegance, the fineness of the flavors: basically, if what I am sniffing seems to me “good” or not. Intuitively, the flavor of flowers, fresh fruit, dried fruit (fruit, not peel), fruit in syrup or caramelised, or jam (not fermented fruit), chocolate, toasted bread etc. will be good while smells such as mud, soil, wood, wet cellar, mold or rot will be considered unpleasant. The Taste analysis is the last step, which can be divided into two different stages: the direct taste and the aftertaste. The direct taste aims to examinate the quantity and quality of taste sensations: in practice, whether the beverage I’m tasting has a high or low intensity and especially whether it gives me pleasant and positive feelings or not. In other words: whether it is “good” or “bad” and whether it gives pleasant or unpleasant feelings. Taste analysis also includes the assessment of tactile sensations to see if the beverage is liquid like water or has a good body and a good creaminess/viscosity/syrupy. There is no doubt that you will prefer a creamy and silky food or drink compared to other liquids that vanish after tasting, but this preference should not invalidate the qualitative assessment. Better good and liquid than bad and full-bodied! Another important aspect of the Coffee tasting test is the one that comes after swallowing. If we have tasted a good product, after swallowing, thanks to a sort of a vacuum “chewing” during the inspiration and exhalation processes you will be filled with scents and perfume, probably the same as you experienced in the previous phases. A pleasant perception will be a proof of a good quality product (Arabica) and also of a good preparation. Be careful not to confuse postnasal and retro olfactory sensations, typical of a good Arabica, with tannic and tactile feelings that make the mouth routh, as for a cheap Robusta. If the Coffee is of good quality and the extraction is well done, the mouth will have to remain fresh, clean and salivated. 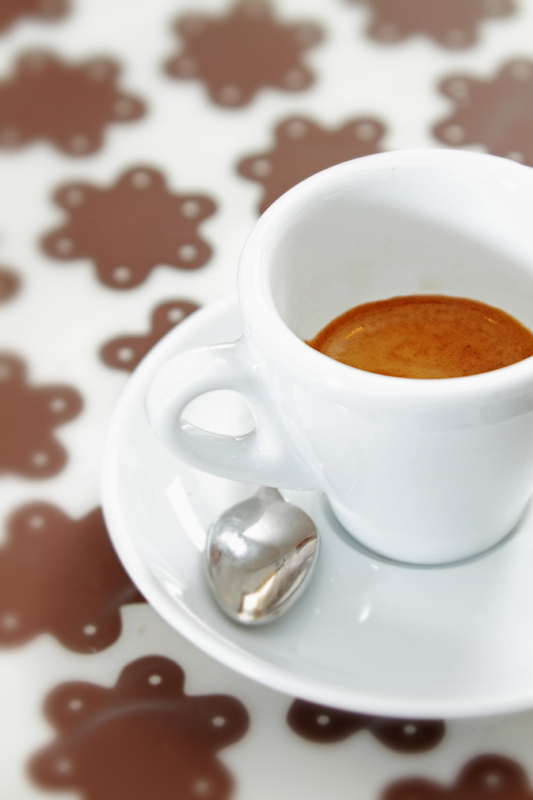 In conclusion, by dispelling an urban legend that has been told for many years, I will not consider a Coffee (Espresso or anything else) as a good one only if it is intense and syrupy, but I could do it if it gives me positive and pleasant feelings, long persistence and a clean and fresh mouth. A great value, that should not be underestimated, is the so-called “cup cleaning”: if the olfactory flavor profile is completely positive and clean, if it is full of elegant and pleasant feelings, if there is nothing unpleasant, no roughness, no inconveniences, no flaws, then we are tasting a great Coffee, although the intensity isn’t perfect; conversely, if the positive notes are intense and net, but side by side with bad feelings of dirty water, fermentation, wet wood, mold, wet ground, then here we are faced with not perfect raw material.